Eleven youths with the local Boys Club get another stamp on their Passport to Manhood. 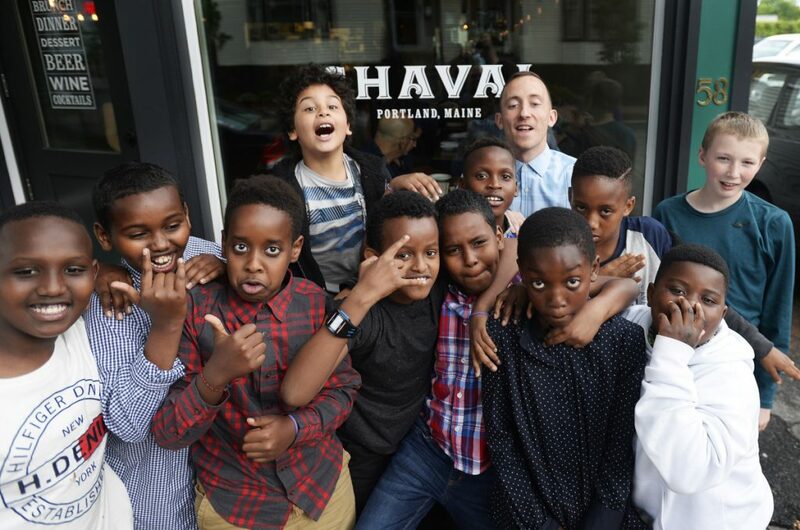 A white van pulls up to Chaval, a Spanish-French brasserie on Portland’s Pine Street, and a passel of boys pours out, as energetic as exploding stars. So much chatter, growing louder by the second. “I want pizza!” one boy calls out. 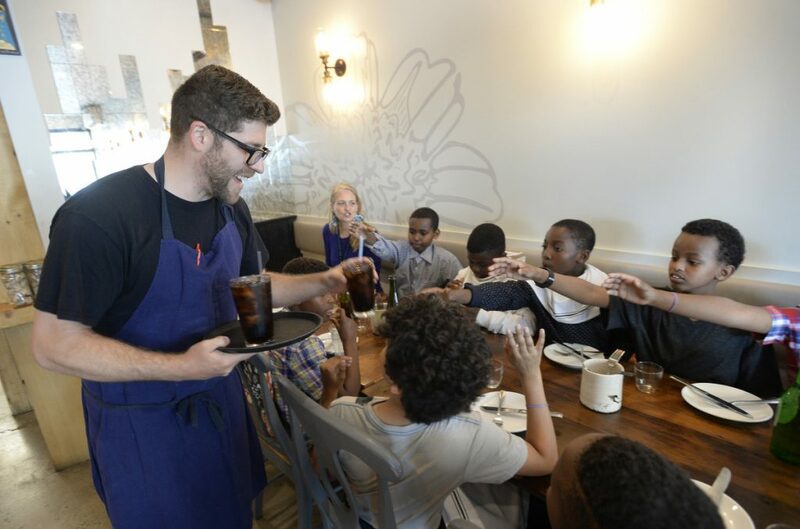 Sam Koenigsberg, 34, springs into action, herding the boys – all 11 of them – toward the front door of the restaurant and trying to calm them down at the same time. 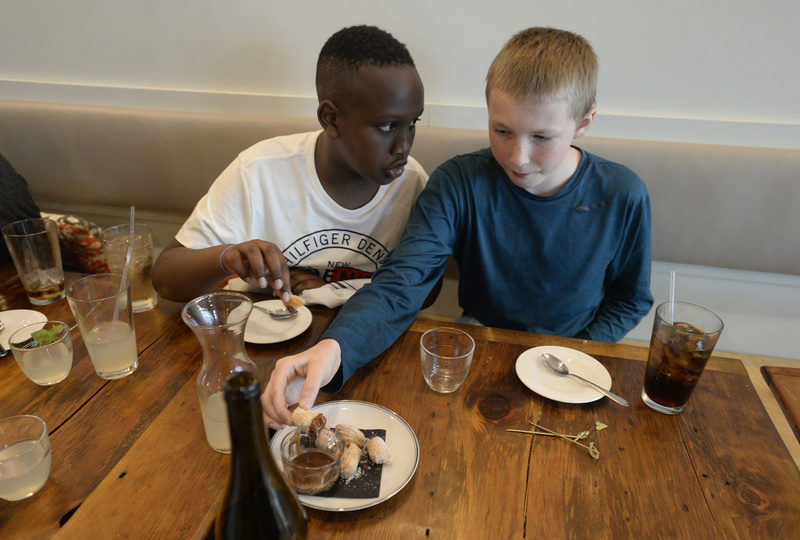 Apologies to those who dined early last Wednesday night at Chaval, but you were witness to a very special – if at times very boisterous – dinner in the lives of these 9- to- 12-year-olds. They are members of the Portland clubhouse of the Boys & Girls Clubs of Southern Maine. Many are newcomers to Maine, having immigrated here from places like Somalia, Djibouti, Congo and Angola. Many come from families who don’t have enough to eat, and some are homeless. Like all boys this age, they need a little guidance navigating the world. 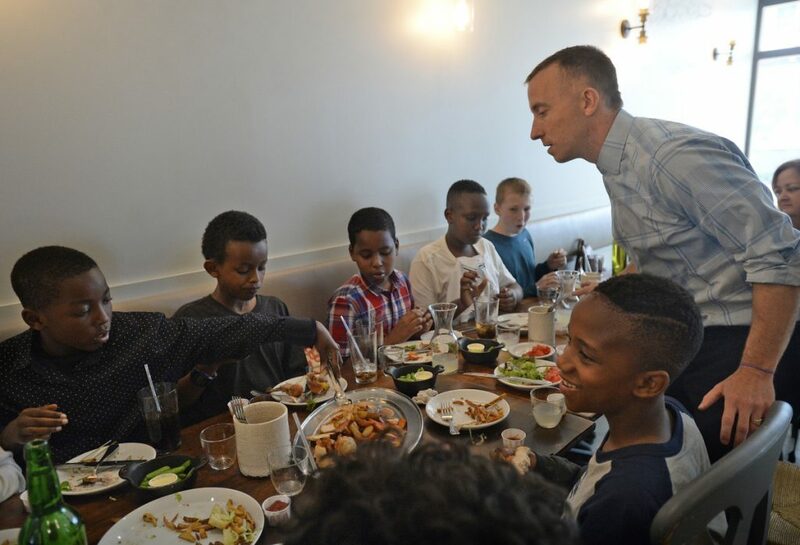 Chef Damian Sansonetti, who grew up going to the Boys & Girls Club in Boston, delivers food to the Portland club’s Passport to Manhood group. This upscale dinner is both a class where they can practice how to behave in public, and a reward for the hard work they’ve put in so far. Passport to Manhood is a national program aimed at reinforcing character, leadership and positive behavior. The program tries to teach boys, through discussions and activities, how to be polite, express gratitude, have control over their bodies – at times a difficult task for any 10-year-old – and be open to trying new things. Even if the boys have plenty of parental guidance, Koenigsberg’s presence reinforces lessons they may have learned at home. 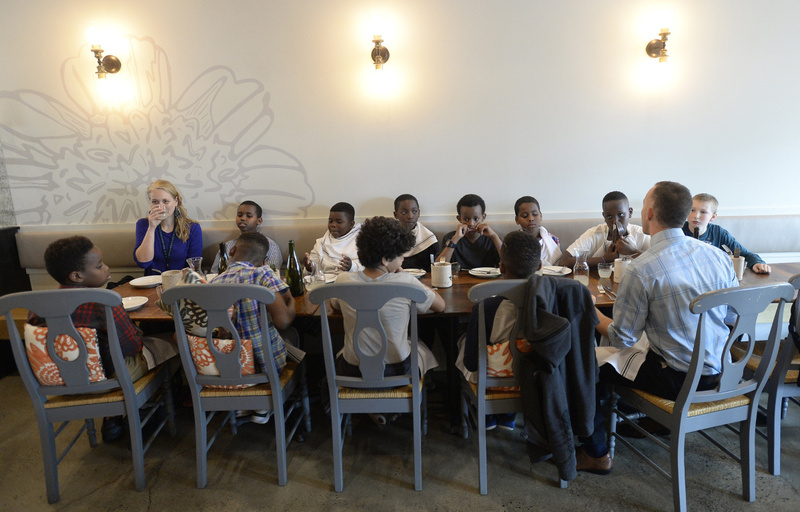 The hope is that the skills the boys practice at the restaurant this evening will stay with them, so they can call upon them later in life whenever they go into unfamiliar environments where expectations are high – say, a job interview. “Research shows that the presence of a non-parent adult and role model in your life is a really important aspect to helping kids become successful,” said Lauren Farina, chief development officer for the Boys & Girls Club of Southern Maine. The boys are wearing their nicest clothes when they enter Chaval, which, appropriately, means “kid” in Spanish. 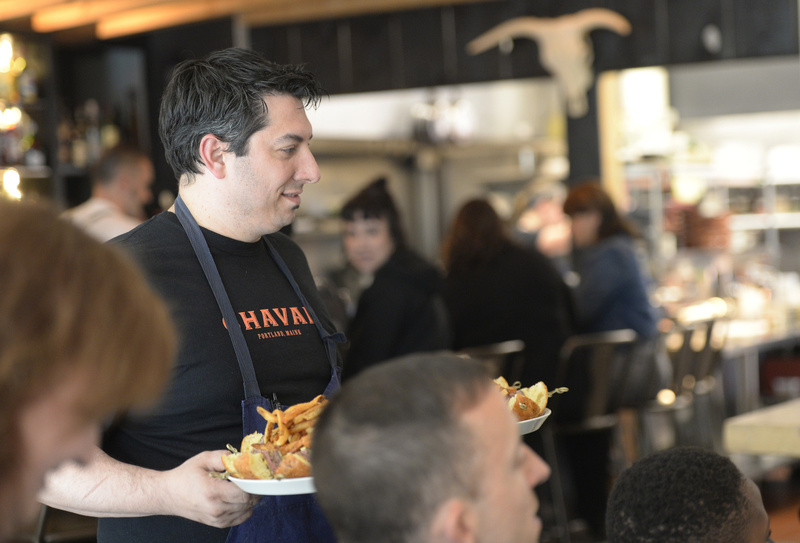 Owners Damian Sansonetti – who was himself a member of the Boys Club – and his wife Ilma Lopez, an immigrant from Venezuela, have volunteered their time and their dining room for the dinner. Rosemont Market, a branch of which is down the street, donated the ingredients. Food is a big part of the mission of the Boys & Girls Clubs of Southern Maine, which provide after-school snacks and dinner for many of their nearly 3,000 members. The five southern Maine clubs serve more than 90,000 meals annually. “It helps them be ready to learn, and it also helps families with food insecurity,” Farina said. 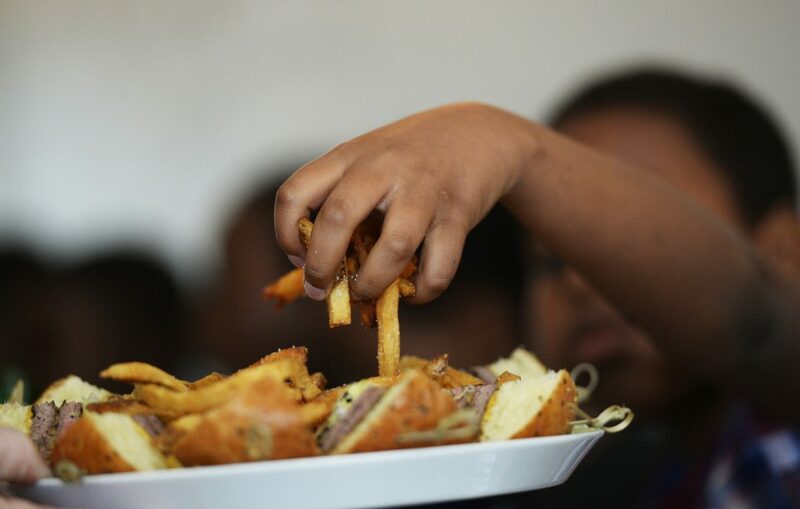 Sometimes food is used at the clubs as a motivator to get kids to behave. But for these boys, it has never been something to savor for its own sake. 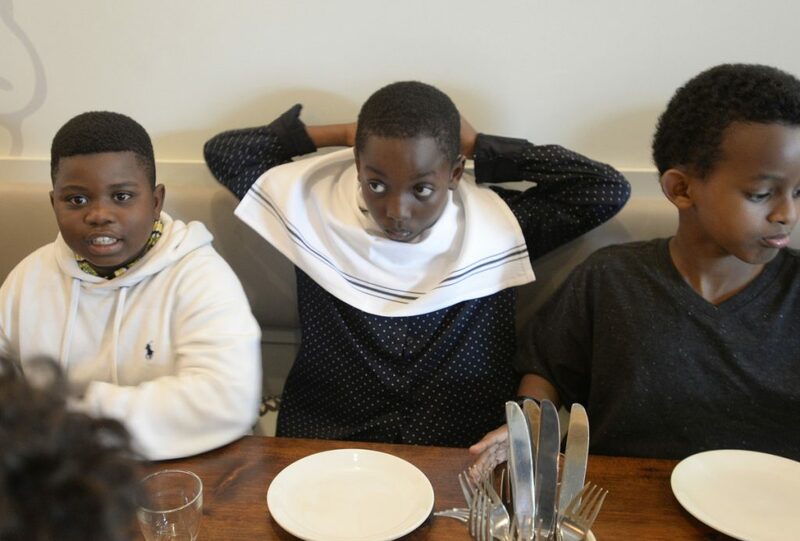 Rather than hiding the boys away in the rear dining room, the restaurant seats them in the busier front room, where they will have to be considerate of other diners. Servers Tara Rook and Jeff Krowne take their drink orders – Coke or Sprite? “You say please,” Koenigsberg reminds them. Koenigsberg shows the boys how to put napkins in their laps. Then he explains how the family-style dinner will work. Koenigsberg is a part-time staffer at the Boys Club. He was going to be a high school English teacher until terminal cancer derailed those plans. He has been honest with the boys about his illness, and he believes that, in a way, it’s helped him gain their confidence. Knowing that Koenigsberg has his own struggles has made it easier for the boys to talk about theirs. Koenigsberg has been working with the boys every Thursday for several weeks, using the visit to Chaval as incentive for them to attend every meeting and behave well. They’ve had talks and gone on field trips, most often to Dunkin’ Donuts. When they order, they must look the cashier in the eye and say please and thank you. The first course arrives. It’s tomato bread, a classic Catalan snack in which slices of sourdough bread are rubbed with garlic and topped with chopped tomatoes and Spanish extra-virgin olive oil. “Ooh, that’s good!” says Tyler Orcutt. The boys take small bites at first, then a few start shoving the bread into their mouths until they have chipmunk cheeks. Salad comes out next, then trays of burgers and housemade fries, the burgers made with fresh local beef and served on brioche buns. Sansonetti helps carry out the burgers, and Koenigsberg introduces him to the boys, who call out thank yous. A few clap. Hamdi Elmi’s mouth is full of burger when Sansonetti returns with a tray of Amish chicken with potatoes and spinach. Elmi’s eyes grow huge when he sees the extra food. Abdi Abdullahi asks Koenigsberg how they should eat it – like this? he asks, holding a fork and knife to a piece of meat, or like this, picking up a drumstick with his fingers. Romeo King gently wipes the corners of his mouth with his napkin; the look on his face says he thinks this is funny. The volume starts to rise again. 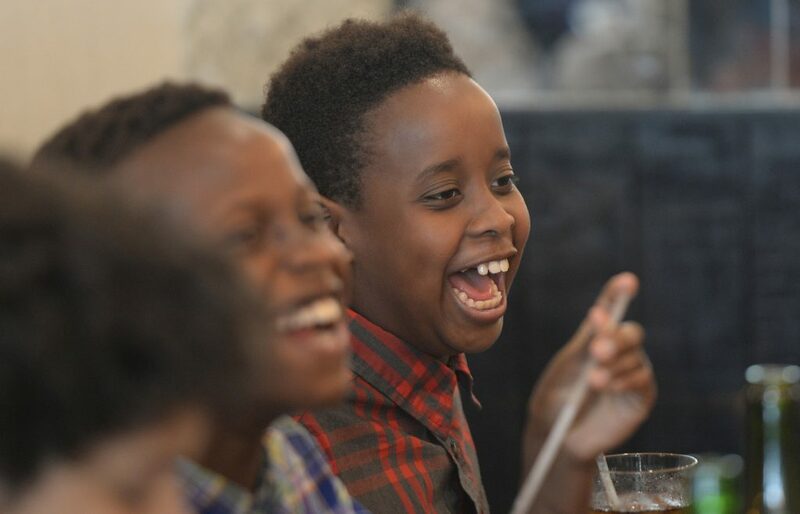 Several boys at one end of the table share a story and start laughing in a loud, infectious way. Just as it’s getting really noisy, the servers bring out churros with hot chocolate sauce for dipping. Suddenly, like flipping a switch, it’s dead quiet. In the presence of chocolate sauce, manners become a vague memory. Some of the boys lick the chocolate off their fingers. Others wait until Koenigsberg isn’t looking and dip their fingers into the sauce. One boy scrapes the chocolate off his plate with a spoon. He looks longingly at the plate, then licks it once, with a look that says he knows he’s getting away with something, then goes back to using the spoon. Mohamed Elmi comes back from the restroom and, lucky for him, Koenigsberg has saved him a plate of churros. 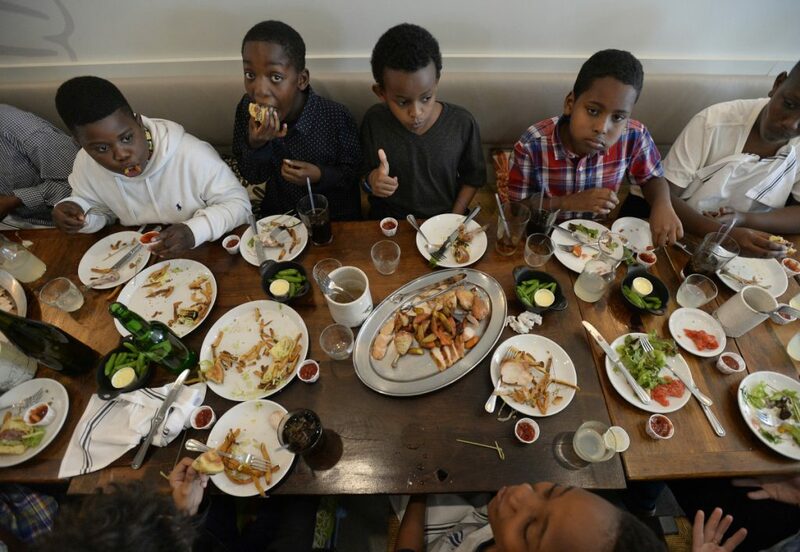 The other boys figure out where Mohamed has been and several jump up from the table to head toward the restroom. They have to walk through the kitchen to get there, and they are halfway through, looking like a line of ducklings, when Koenigsberg notices. “Whoa, whoa, whoa!” he calls out as he chases them down. Dinner ends shortly after 6 p.m., after a little more than an hour of being on their best behavior. Esa Antonio says “Thank you so much!” to the staff and gives them a thumbs up.